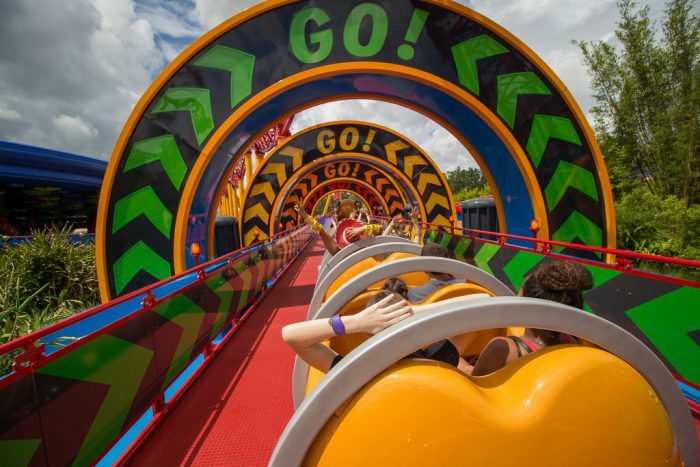 Slinky Dog Dash is a long, outdoor roller coaster designed to look like Andy built it out of Tinkertoys. 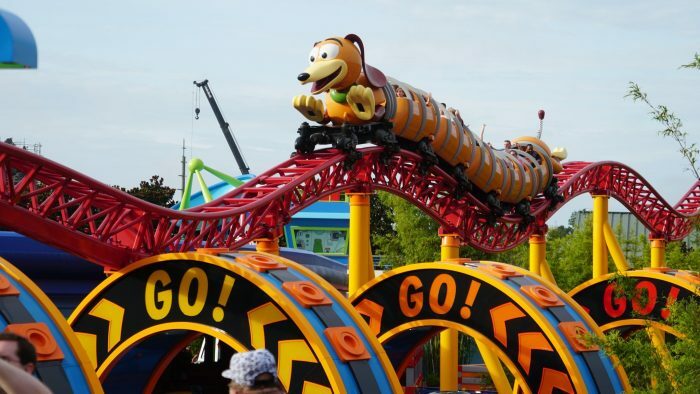 The coaster’s trains are themed (naturally) to Toy Story’s Slinky Dog. As for intensity, it's more like the Magic Kingdom’s Barnstormer or Seven Dwarfs Mine Train — lots of turns, dips, and hills but no loops or high-speed curves—and not as forceful as Big Thunder Mountain Railroad. Two passengers sit side-by-side in each row of Slinky Dog's cars. Each rider has their own height-adjustable lap bar, and each lap bar has grips for hanging on. A small plastic "hump" between the riders prevents sliding side to side. As far as leg room goes, there seems to be more than on Seven Dwarfs Mine Train. Open for Morning Extra Magic Hour. Open for Evening Extra Magic Hours. 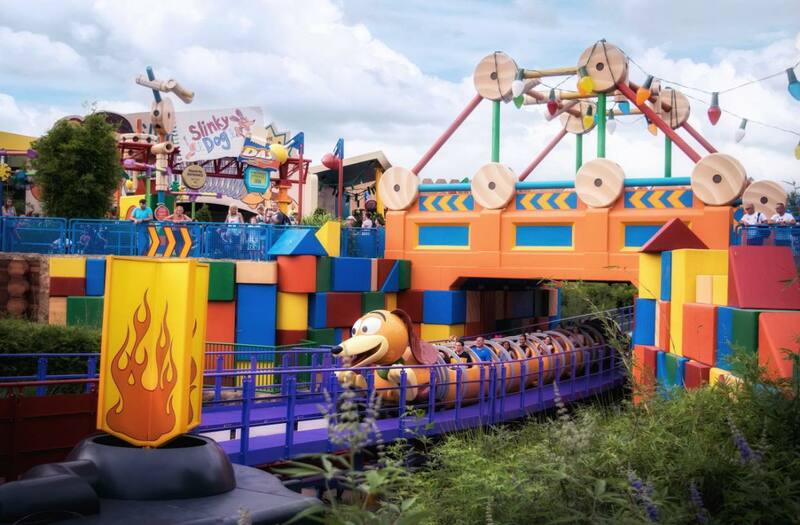 Slinky Dog is one of the Studios' three kid-friendly rides, so expect it to be busy from the moment the park opens. Ride first thing in the morning, during meals, or in the last hour the park is open. 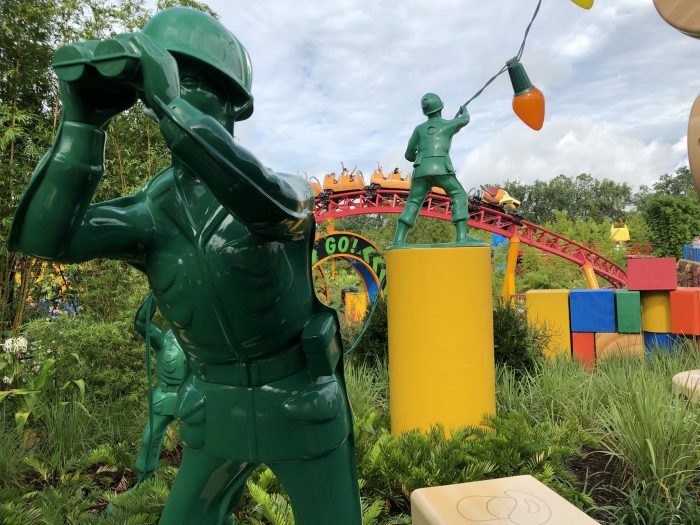 Disney has Slinky Dog Dash, Alien Swirling Saucers, and Toy Story Mania! in the same FastPass+ tier, meaning you’ll be able to make an advance FastPass+ reservation for only one of the three. 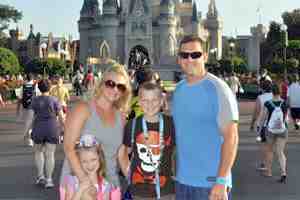 If that happens, get a FastPass+ for whichever one you can, as early in the day as possible. When the park opens, head immediately for the other one and ride; then experience Alien Swirling Saucers. This chart shows you roughly how long you'll wait for Slinky Dog Dash when you visit on a day with a given Disney's Hollywood Studios Crowd Level. The blue bars represent the average "peak" wait time (that is, how long the line will be at its busiest). The bottom and top black lines represent the range of peak wait times to expect (for you fellow nerds out there: it's the 5th percentile and 95th percentile of peak wait times). Please note that these are estimates, and for a better forecast for your travel dates, see Slinky Dog Dash Wait Times. This attraction has a minimum-height requirement of 38 inches. This attraction offers rider swap.